Executive Office of the V.P. "An Agenda for Financial Stability and Growth"
Mark A. Calabria, Ph.D. is Assistant to the Vice President and Chief Economist. Dr. Calabria handles all economic policy issues for Vice President Mike Pence, with a lead focus on taxes, trade, manufacturing, financial services, labor and housing. 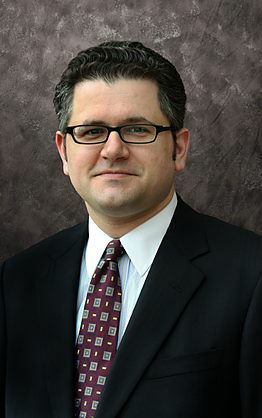 Immediately prior to his service with Vice President Pence, he spent eight years as Director of Financial Regulation Studies at the Cato Institute, where he helped to establish Cato’s Center for Monetary and Financial Alternatives. Dr. Calabria also previously served as a senior aide on the United States Senate Committee on Banking, Housing and Urban Affairs to both Chairman Phil Gramm and Chairman Richard Shelby. He has also served as Deputy Assistant Secretary for Regulatory Affairs at the U.S. Department of Housing and Urban Development. He has held a variety of positions at Harvard University’s Joint Center for Housing Studies, the National Association of Home Builders and the National Association of Realtors. He has been a Research Associate at the U.S. Census Bureau’s Center for Economic Studies. He holds a doctorate in economics from George Mason University. During his Senate service, Dr. Calabria drafted significant portions of the Housing and Economic Recovery Act of 2008, which created a new regulatory framework for the housing government sponsored enterprises, Fannie Mae and Freddie Mac. He was also the primary drafter of the Shelby‐Dodd Flood Insurance Reform bill, which formed the basis for the Biggert‐Waters Flood Insurance Reform Act of 2012. He holds a doctorate in economics from George Mason University. Note: Registration is open through Thursday, May 3 at 10:30 am.